Here’s a look at SC Johnson’s top brands – you probably have many of them in your cupboard! 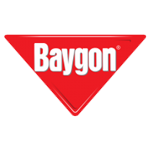 Our Baygon® brand bug killers put the power in your hands to tackle insect invaders and take back your home. 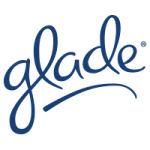 Transform any room with Glade® home fragrances. From fruity to floral, spicy to sensual, we have a scent to stir your senses. For more than 50 years, OFF!® insect repellents have been helping protect families from mosquitoes and the diseases they may carry. 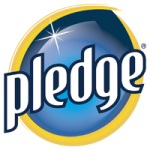 For more than 50 years, Pledge® has helped dust, clean, moisturize and protect your furniture quickly and easily. 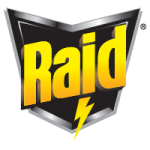 Our Raid® brand bug killers help you kill invading bugs and take back your home. degreasers, all purpose cleaners and more. From touch-ups to deep cleaning, Scrubbing Bubbles® works hard to clean every bathroom surface so you don’t have to. 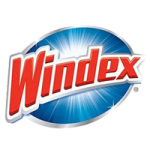 Inside the house or outside, on glass, countertops and more, Windex® sprays, wipes and tools give you a streak-free shine, every time. 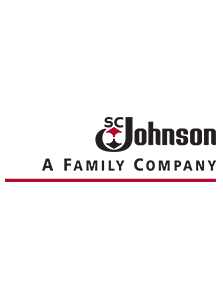 S. C. Johnson & Son (commonly referred to as S. C. Johnson, previously S. C. Johnson Wax and Johnson Wax), is an American multinational privately held, manufacturer of household cleaning supplies and other consumer chemicals based in Racine, Wisconsin. It has operations in 72 countries and its brands are sold in over 110. It is the largest component of the Johnson Family Enterprises, which also includes the Johnson Financial Group, and Johnson Outdoors. In 2006, S. C. Johnson & Son employed approximately 12,000 and had estimated sales of $7.5 billion. Did you know that the soap you use may have an effect on the amount of soap scum build-up? Learn the difference between liquid and bar soap and see what’s easier to clean. You probably already know that soap scum cannot be removed by simply rinsing your bathtub. 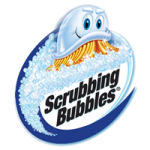 See what specially formulated Scrubbing Bubbles® cleaners penetrate and dissolve tough bathroom build-up. Built-up dust, debris and pet hair behind the refrigerator vent aren’t just gross; they can result in a less-efficient refrigerator and increased energy bills. We have an easy way to get rid of it all. See how pulling the shower curtain partially closed can help prevent mildew growing in the shower. Hard water stains can be a real pain to clean, making them truly live up to their name. Fortunately, we have specially formulated products to take them on. Humid, wet and stale air is a hotbed for mold and mildew. See how introducing some airflow into the bathroom can keep grime from building up. See how your bathroom rug does more than just provide a buffer between your feet and the cold bathroom floor. You’ve cleaned. But did you get everything? Sometimes it helps to see things from a different angle. See how to change your perspective to help find spots you may have missed while cleaning. Wiping down dust and dirt usually just moves it from one surface to another, adding an extra level of cleaning. See how to take care of them the easy way prior to a big bathroom scrub down. It’s much easier to get rid of spills while they’re fresh than after they dry and need scouring. See the best ways to keep small spots from becoming big pains.